Are you overwhelmed by the number of security events per day? If so, you are not alone. It is not uncommon for security administrators to receive tens of thousands of security alerts per day, leading to alert fatigue – and worse – security events going unattended. Tellingly, a study conducted by the Cloud Security Alliance (CSA) found that over 40% of security professionals think alerts lack actionable intelligence that can help them resolve security events. 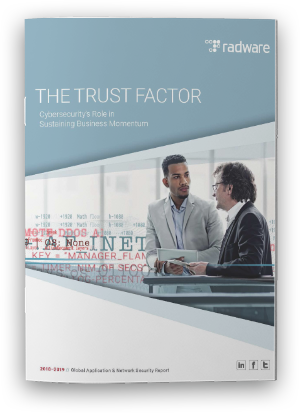 More than 30% of security professionals ignore alerts altogether because so many of them are false positives. Similarly, a study by Fidelis Cybersecurity found that almost two-thirds of organizations review less than 25% of alerts every day and only 6% triage 75% or more of alerts per day that they receive. As a result of this alert flood, many organizations leave the majority of their security alerts unchecked. This is particularly a problem in the world of application security, as customer-facing applications frequently generate massive amounts of security events, based on user activity. Although many of these events are benign, some are not—and it only takes one alert to open the doors to devastating security events, like a data breach. Not examining these events in detail leaves applications (and the data they store) exposed to security vulnerabilities, false positives, and sub-optimal security policies, which go unnoticed. The irony of this alert flood is that when examined in detail, many alerts are, in fact, recurring events with discernible patterns. Examples of such recurring patterns are accessed to a specific resource, multiple scanning attempts from the same origin IP, or execution of a known attack vector. 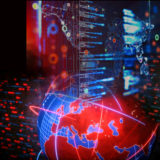 Traditionally, web application firewall (WAF) systems log each individual event, without taking into consideration the overall context of the alert. For example, a legitimate attempt by a large group of users to access a common resource (such as a specific file or page), and a (clearly illegitimate) repeated scanning attempts by the same source IP address, would all be logged the same way: each individual event would be logged once, and not cross-linked to similar events. Achieving security at scale requires being able to separate the wheat from the chaff when it comes to security events. That is, distinguishing between large amounts of routine user actions which has little implication for application security, and high-priority alerts which are indicative of malicious hacking attempts or may otherwise suggest a problem with security policy configuration (for example, such as a legitimate request being blocked). How frequently does this event occur? That is, does this behavior occur often, or is it a one-off event? What is the trend for this event? How does this type of behavior reflect over time? Does it constantly occur at a constant rate, or is there a sudden massive spike? What is the relevant header request data? What are the relevant request methods, destination URL, resource types, and source/destination details? Is this type of activity indicative of a known attack? Is there a legitimate explanation for this event, or does it usually signify an attempted attack? Each of these questions can go either way in terms of explaining security events. However, administrators will do well to have all of this information readily available, in order to reach an informed assessment based on the overall context. Increased visibility of security events, to better understand application behavior and focus on high-priority alerts. More intelligent decision making on which events should be blocked or allowed. A more effective response in order to secure applications against attacks as much as possible, while also making sure that legitimate users are not impacted. Radware developed Application Analytics – the latest feature in Radware’s Cloud WAF Service to address these customer needs. Radware’s Cloud WAF Application Analytics takes large numbers of recurring log events and condensing them into a small number of recurring activities. 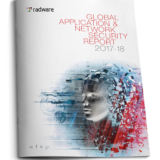 In several customer trials, this capability allowed Radware to reduce the number of Cloud WAF alerts from several thousand (or even tens of thousands) to a single-digit (or double digit) number of activities. This allows administrators to focus on the alerts that matter. For example, one customer reduced over 8,000 log events on one of their applications into 12 activities (seen above), whereas another customer reduced more than 3,500 security events into 13 activities. The benefits for security administrators are easy to see: rather than drown in massive amounts of log events with little (or no) context to explain them. Cloud WAF Application Analytics now provides a tool to reduce log overload into a manageable number of activities to analyze, which administrators can now handle. Ultimately, there is no silver bullet when it comes to WAF and application security management: administrators will always need to balance being as secure as possible (and protect private user data), with the need to be as accessible as possible to those same users. Cloud WAF Application Analytics are Radware’s attempt to disentangle this challenge. Rate limiting is a commonly-used tool to defend against application-layer (L7) DDoS attacks. However, the shortcomings of this approach raises the question of whether the cure is worse than the disease? As more applications transition to web and cloud-based environments, application-layer (L7) DDoS attacks are becoming increasingly common and potent. In fact, Radware research found that application-layer attacks have taken over network-layer DDoS attacks, and HTTP floods are now the number one most common attack across all vectors. This is mirrored by new generations of attack tools such as the Mirai botnet, which makes application-layer floods even more accessible and easier to launch. It is, therefore, no surprise that more security vendors claim to provide protection against such attacks. The problem, however, is that the chosen approach by many vendors is rate limiting. What is it that makes application-layer DDoS attacks so difficult to defend against? Application-layer DDoS attacks such as HTTP GET or HTTP POST floods are particularly difficult to protect against because they require analysis of the application-layer traffic in order to determine whether or not it is behaving legitimately. For example, when a shopping website sees a spike in incoming HTTP traffic, is that because a DDoS attack is taking place, or because there is a flash crowd of shoppers looking for the latest hot item? Looking at network-layer traffic volumes alone will not help us. The only option would be to look at application data directly and try to discern whether or not it is legitimate based on its behavior. However, several vendors who claim to offer protection against application-layer DDoS attacks don’t have the capabilities to actually analyze application traffic and work out whether an attack is taking place. This leads many of them to rely on brute-force mechanisms such as HTTP rate limiting. Explaining rate limiting is simple enough: when traffic goes over a certain threshold, rate limits are applied to throttle the amount of traffic to a level that the hosting server (or network pipe) can handle. Rate limiting does not distinguish between good and bad traffic: It has no mechanism for determining whether a connection is legitimate or not. It is an equal-opportunity blocker of traffic. Rate limiting does not actually clean traffic: An important point to emphasize regarding rate limiting is that it does not actually block any bad traffic. Bad traffic will reach the original server, albeit at a slower rate. Rate limiting blocks legitimate users: It does not distinguish between good and malicious requests and does not actually block bad traffic so rate limiting results in a high degree of false positives. This will lead to legitimate users being blocked from reaching the application. Some vendors have more granular rate limiting controls which allow limiting connections not just per application, but also per user. However, sophisticated attackers get around this by spreading attacks over a large number of attack hosts. Moreover, modern web applications (and browsers) frequently use multiple concurrent connections, so limiting concurrent connections per user will likely impact legitimate users. Considering that the aim of a DDoS attack is usually to disrupt the availability of web applications and prevent legitimate users from reaching them, we can see that rate limiting does not actually mitigate the problem: bad traffic will still reach the application, and legitimate users will be blocked. In other words – rate limiting administers the pains of the medication, without providing the benefit of a remedy. This is not to say that rate limiting cannot be a useful discipline in mitigating application-layer attacks, but it should be used as a last line of defense, when all else fails, and not as a first response. An alternative approach to rate limiting – which would deliver better results – is to use a positive security model based on behavioral analysis. Most defense mechanisms – including rate limiting – subscribe to a ‘negative’ security model. In a nutshell, it means that all traffic will be allowed through, except what is explicitly known to be malicious. This is how the majority of signature-based and volume-based DDoS and WAF solutions work. A ‘positive’ security model, on the other hand, works the other way around: it uses behavioral-based learning processes to learn what constitutes legitimate user behavior and establishes a baseline of legitimate traffic patterns. It will then block any request that does not conform to this traffic pattern. Such an approach is particularly useful when it comes to application-layer DDoS attacks since it can look at application-layer behavior, and determine whether this behavior adheres to recognized legitimate patterns. One such example would be to determine whether a spike in traffic is legitimate behavior or the result of a DDoS attack. Blocks bad traffic: Unlike rate limiting, behavioral-based detection actually ‘scrubs’ bad traffic out, leaving only legitimate traffic to reach the application. Reduces false positives: One of the key problems of rate limiting is the high number of false positives. A positive security approach greatly reduces this problem. Does not block legitimate users: Most importantly, behavioral traffic analysis results in fewer (or none at all) blocked users, meaning that you don’t lose on customers, reputation, and revenue. That’s Great, but How Do I know If I Have It? Do you provide application-layer (L7) DDoS protection as part of your DDoS solution, or does it require an add-on WAF component? Do you use behavioral learning algorithms to establish ‘legitimate’ traffic patterns? How do you distinguish between good and bad traffic? Do you have application-layer DDoS protection that goes beyond rate limiting? If your vendor has these capabilities, make sure they’re turned-on and enabled. If not, the increase in application-layer DDoS attacks means that it might be time to look for other alternatives. This is the last part of the blog series exploring the various alternatives for protection against DDoS attacks, and how to choose the optimal solution for you. The first part of this series covered premise-based hardware solutions, the second part discussed on-demand cloud solutions, and the third part covered always-on cloud solutions. This final piece will explore hybrid DDoS solutions, which combine both hardware and cloud-based components.